You can trust both of these high-quality drum hardware pieces to securely accommodate all standard cymbals. One of the highlights here is a double-braced cymbal boom stand by Griffin TS series. Not only does this sturdy cymbal stands with boom arm securely hold all standard cymbals, but it also features a counterweight end piece at the end of the boom arm ensuring the double-braced cymbal boom stand boom cymbal stand safely even supports heavy cymbals! That is an impressive feature for light weight to medium weight cymbal boom stand such as this one! One of the highlights here is a double-braced cymbal boom stand by Griffin TS series. Not only does this sturdy cymbal stands with boom arm securely hold all standard cymbals, but it also features a counterweight end piece at the end of the boom arm ensuring the double-braced cymbal boom stand boom cymbal stand safely even supports heavy cymbals! That is an impressive feature for light weight to medium weight cymbal boom stand such as this one! This is practically two cymbal stands in one as the boom arm can be converted into a straight boom arm as well. 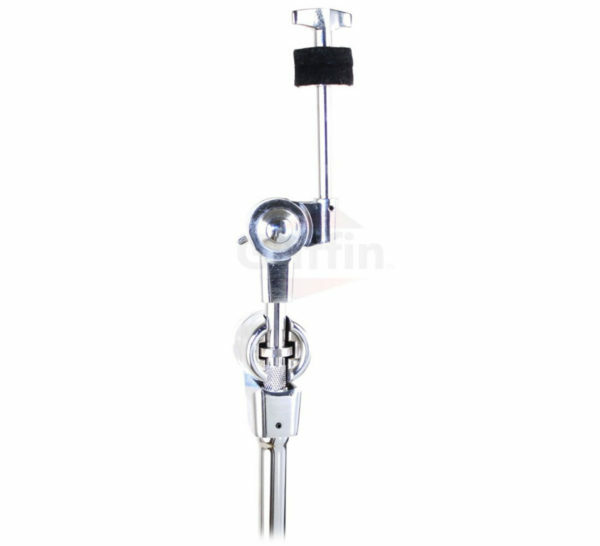 This boom cymbal stand also has adjustable height features, enabling the chrome cymbal stand with boom arm to move from 29 inches to 48 inches without the boom and up to 67 inches with the boom to conform to every drummer’s personal preference. We encourage you to compare this boom cymbal stand to other double-braced cymbal boom stands online. 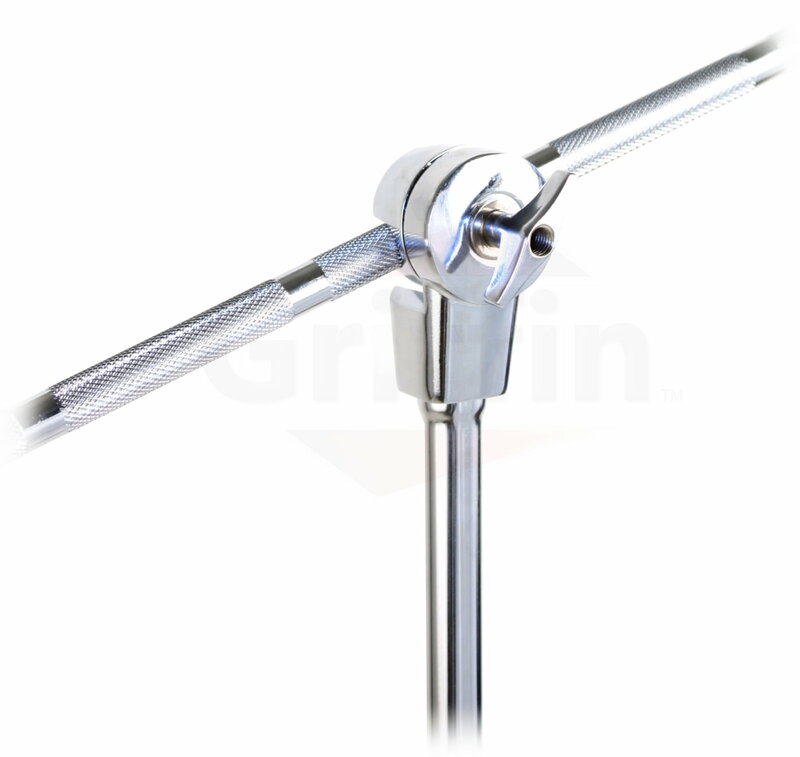 This chrome, boom cymbal stand is sharp-looking, sturdy and durable. This double-braced cymbal boom stand is quite similar to a Pearl B-790 cymbal stand, but you may buy today with peace of mind knowing you are getting the lowest price possible for this quality double-braced boom cymbal stand. MOUNT YOUR CYMBALS WITH SAFETY: Keep your peace of mind and focus only on your music with a top quality, reliable cymbal boom stand that won’t let you down. 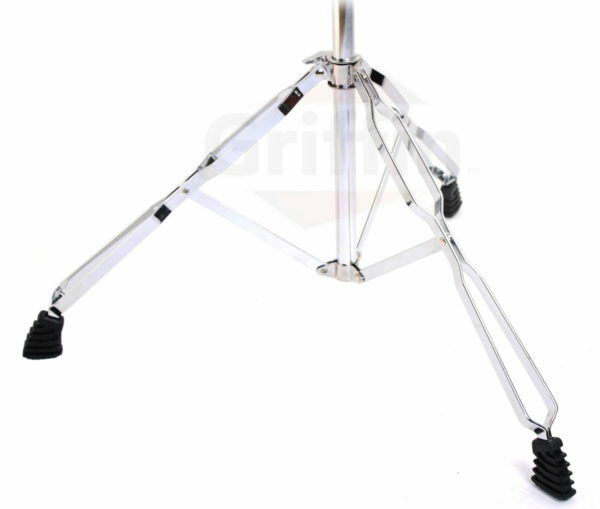 Equipped with double braced legs for maximum stability and an excellent cymbal tilter gear system (steel washer, wing nut, vinyl tubing and cymbal felt) that promises slip-proof cymbal positioning, this is a lightweight to medium weight stand, great for accommodating your crashes, splashes and effect cymbals in the studio or on stage. UNMATCHED FLEXIBILITY AND VERSATILITY: Why spend money on a cymbal boom stand that will only support the weight of lightweight, standard cymbals, when you can have this durable stand that will easily accommodate any type of cymbal? Perfect for both lightweight cymbals like your 18″ crash, as well as heavy rides or China, this deluxe boom stand features a counterweight end piece that will safely hold the weight of all your standard and heavy cymbals with ease. 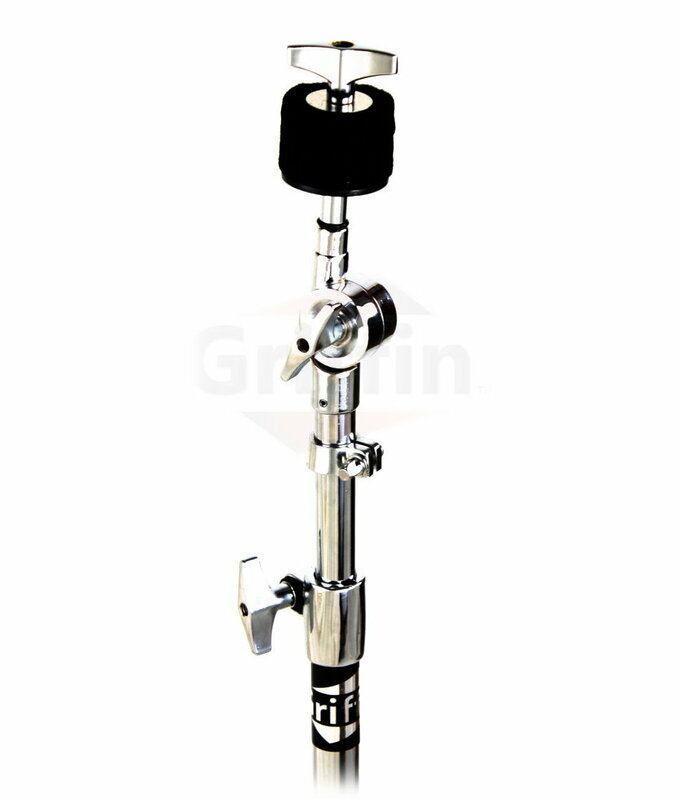 ADJUST TO YOUR PREFERRED HEIGHT: Boasting a highly convenient adjustable height feature that allows you to accommodate your changing needs, this percussion hardware piece enables you to move from 29″ to 48″ without the boom or up to 67″ with the boom, while the memory locks will make sure your personal settings remain in place for every practice session. The shiny chrome finish gives this stand a stylish appearance, ideal for your on-stage performances. PACK YOUR CYMBAL STAND ON THE GO: Designed with the needs of mobile drummers and touring musicians in mind, this premium quality cymbal boom stand folds down to a compact size, easy to pack and take with you everywhere. Thoughtfully designed with rubber tipped feet for ultimate stability and protection from falls, this cymbal boom stand will stay securely on the floor, even during intense playing. Specifications: Boom arm length: 18″. Base pipe diameter: 19 mm. Gross weight: 6.5 pounds. OUR PROMISE TO YOU: Being so sure about the top quality and excellent performance of this cymbal boom stand, we offer you an unmatched 1 year replacement warranty, as well as a 30 days money back guarantee of complete satisfaction. With nothing to lose, order yours today and go to work with the best! This light weight straight cymbal stand is sturdy enough to hold all standard cymbals with ease. Complete with two interlocking poles, these cymbal straight stands allow for effortless height adjustment from 29 inches up to 52 inches. Although this cymbal straight stand is similar to C-790 Pearl cymbal stands, buy today with peace of mind knowing you are getting the lowest price possible for this high quality cymbal straight stand. We encourage you to compare this double braced cymbal stand to other cymbal straight stands online. This double braced straight cymbal stand is exceedingly sturdy and durable. 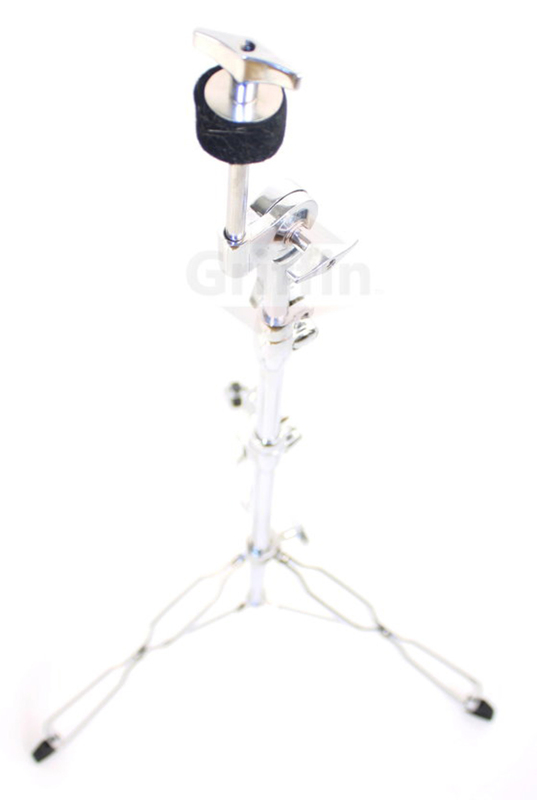 ACE YOUR DRUM SOLOS: A great solution for simple and complex set ups, this deluxe straight cymbal stand by Griffin will safely accommodate all your standard crash and splash cymbals, without taking up too much space. Sturdy and durable, this stand is equipped with rubber leg tips to offer the ultimate in functionality and ease, without sacrificing stability. Its sleek, chrome finish makes it perfect for on-stage performances and will add an unbeatable look to your drum set. USE FOR YEARS TO COME: Featuring double-braced legs for extreme stability and two interlocking poles that allow you to adjust the height from 29″ to 52″ this stand will suit the needs of all drummers. 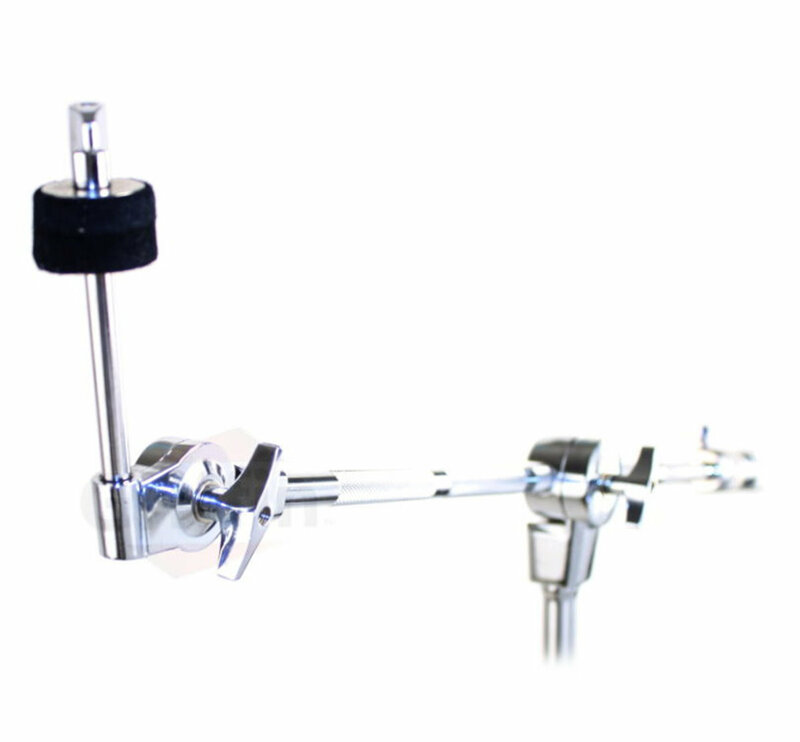 Offering slip-proof cymbal positioning and a gear system cymbal tilter with steel washer, wing nut, vinyl tubing and cymbal felts, this is a reliable, light weight cymbal stand that will keep your cymbals safely in place during all your practice sessions or on-stage performances. SET UP IN MINUTES: Designed for the nomadic drummer, who is constantly on the go, this premium, straight cymbal stand is lightweight to carry and easy to fold down to a compact size for effortless transport. What is more, the convenient memory locks will make sure your preferred height settings will remain in place, saving you precious set up time in every new venue. BEST VALUE ON THE MARKET: If you’re looking for the best straight cymbal stand at the lowest price on the market, you need look no further!  Here at Griffin, we always make sure that we bring to you the highest quality percussion hardware gear at the most attractive prices that won’t break the bank. GET IT WITH CONFIDENCE: We back this product by a hassle-free, 30 days money back guarantee, as well as a 1 year replacement warranty of complete satisfaction. With nothing to lose, order yours today and get equipped with the best percussion hardware gear for your stage performances! Keeping in mind that drummers are always on the run, both the double-braced boom cymbal stand and the double-braced straight cymbal stand feature memory locks, which allow the drummer to effortlessly pack up his boom cymbal stand and straight cymbal stand and quickly set each one up again at exactly the same personalized height adjustment. Even with double-braced legs, each of these chrome cymbal boom stands and cymbal straight stands fold up to a nice and neat package for ultimate portability. Other fantastic features of these cymbal stands include rubber tipped feet to prevent slippage and help hold the stand nicely in place on the floor, slip proof cymbal positioning, and the gear system cymbal tilter consisting of a steel washer, wing nut, vinyl tubing, and cymbal felts. You can trust both of these high-quality drum hardware pieces to securely accommodate all standard cymbals. If you shop around, you will realize we offer the lowest price for quality double-braced boom cymbal stands and double braced straight cymbal stands. 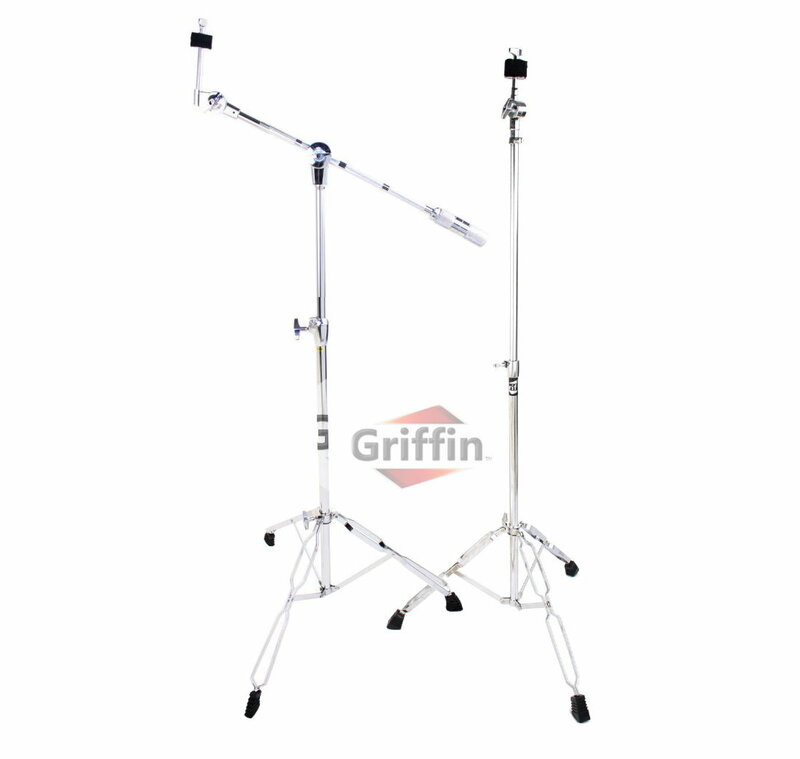 Try finding another cymbal stand pack offering such durable cymbal stands able to work this hard for you at such a cheap price; it cannot be done! We offer the lowest price for quality boom cymbal stands and straight cymbal stands.